Vampire bats are generous friends. When resources are scarce, they keep each other fed—literally vomiting up meals of blood for their compatriots. But they’re not equal-opportunity sharers, according to a new study in Proceedings of the Royal Society B. They keep careful track of how other vampire bats have treated them in the past. 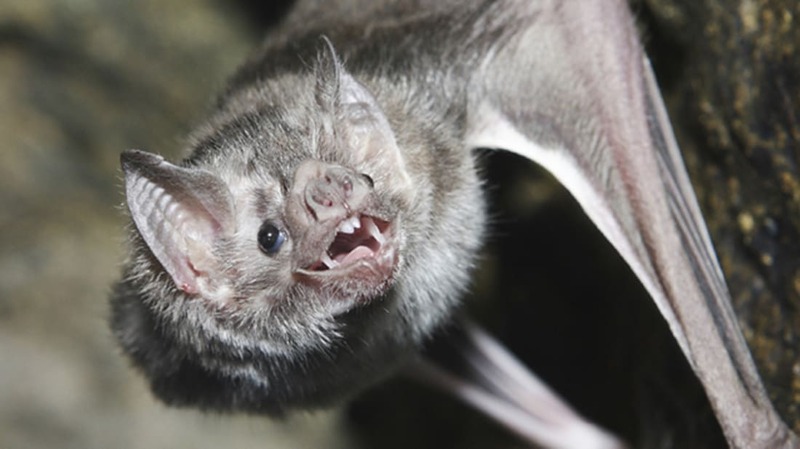 Vampire bats feed exclusively on blood, and females often live in social groups of up to a dozen individuals. These female roost-mates help each other out, even those who aren’t related, as previous studies have shown. In this current study, two researchers from the University of Maryland and the Smithsonian Tropical Research Institute find that this sharing of food is not a random exchange, it's reciprocal. To test how bats determine who they will share with, the researchers examined how a group of captive bats behaved when some were forced to fast, and when previous donors (including kin) were removed from the group. They found that bats that had previously shared more food with non-kin bats were more likely to get fed by others during their fasting period, and received more food. The bats also had go-to food donors—a mother and her adult daughter might be each other’s primary food donor, for instance, and would go to each other first if they failed in foraging. Deprived of those main donors, hungry bats sought out other food-sharing partners, and were most likely to be successful if they had shown generosity in the past. However, the bats also showed a degree of relationship repair. That is, some bats who had previously been stingy during their fast periods—because they had no food to share—seemed to try to get back into the good graces of a more generous partner by sharing significantly more food than they had before. The research suggests that bats have complex social lives that include keeping careful track (for weeks at a time) of who has shared with them—and who they are willing to help out in a time of need.